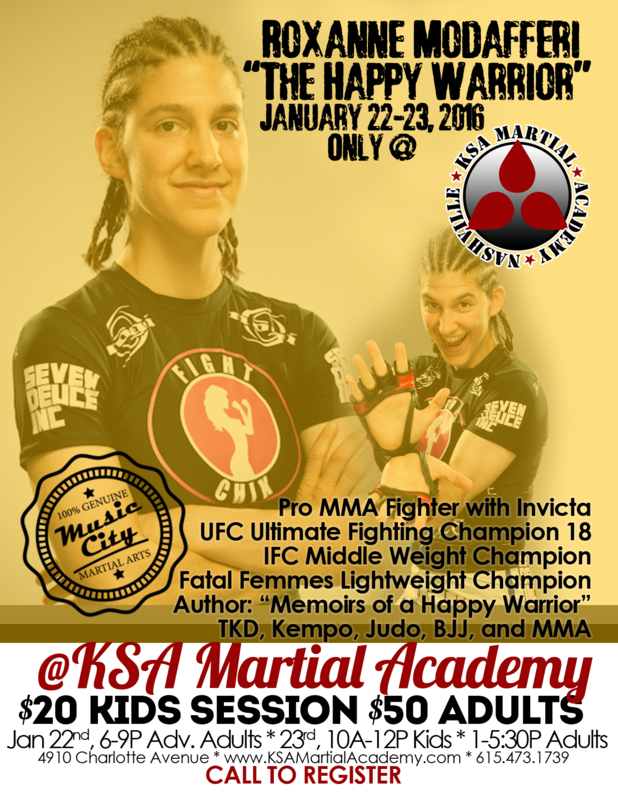 KSA Martial Academy’brings Roxanne Modafferi to Nashville for 2 days! January 22nd, from 6-9PM is reserved for Advanced Rank Adult Students. Limited to 10 students, so register early! 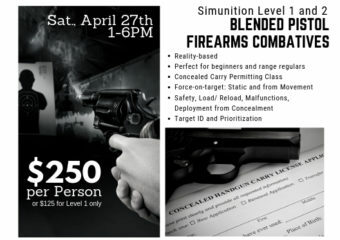 Call Master Cat for information about this special class! January 23rd, from 10-Noon is an all-levels Kids class. Limited to 20 students! January 23rd, from 1-5:30PM is an all-levels Adults Student class. Space is limited and filling up, so register early! Kids – $20, Adults -$50. Roxanne Modafferi was born on September 24th, 1982, in Wilmington, Delaware. As a child, she loved sports and school. As a young adult, she discovered her love of the Japanese language and culture, at the same time practicing martial arts such as Tae Kwon Do, followed by Kempo, Judo, Brazilian Jiu-jitsu, and finally Mixed Martial Arts. She majored in Japanese Language and Literature, with a minor in Linguistics at the University of Massachusetts, Amherst. “When I saw my first UFC (Ultimate Fighting Championship) as an 18 year old, I thought, ‘Wow, that’s so violent. I could never do that! '” She debuted professionally in 2003 in Smack Girl in Japan. She has an extensive background in Judo, and holds a purple belt in Brazilian Jiu-jitsu, and a few title belts: IFC middle weight champion, Fatal Femmes Fighting lightweight champion. She completed on The Ultimate Fighter (TUF) season 18, which was the first season to feature women. Now, she holds a professional MMA record of 15 wins 11 losses not counting TUF, and 16 wins 12 losses counting TUF. She’s also an accomplished grappler and competed in the Abu Dhabi Grappling tournament in 2005, which was also the first year to allow females to compete. Roxanne has published an autobiography called “Memoirs of a Happy Warrior” about her life as a junior exchange student at the International Christian University in Japan. You can pick up the book at burninghorsemedia.com and at Amazon.com. She worked in Japan for eight years as an English teacher at the prestigious company “Berlitz.” After TUF 18, she quit her job and moved to Las Vegas to pursue her dream of fighting full time. She trains at Syndicate MMA.